Israeli Prime Minister Benjamin Netanyahu landed in Lithuania on Thursday for a Baltic summit through which he said he hoped to deepen ties with eastern European nations to counter the EU's "not always friendly" relations with his country. Netanyahu, who has Lithuanian roots, was greeted by the Baltic country's foreign minister at Vilnius airport. Netanyahu will meet the leaders of Lithuania, Latvia and Estonia together in Vilnius during his visit which is set to last until Sunday. He will also pay tribute to Lithuania's once vibrant Jewish culture and its tragic end during the Holocaust. Lithuania has traditionally been one of Israel's better friends in the European Union. The Baltic nation was behind Netanyahu's invitation to meet with EU foreign ministers in Brussels last December, irking some EU officials. "Lithuania and the other Baltic states are probably regarded by Netanyahu as voices that could play the role of Israel's advocates inside the EU," Vilnius University professor Ramunas Vilpisauskas told AFP. Netanyahu has also been eager to convince European countries to exert more pressure on Iran after the United States pulled out of the nuclear deal between Tehran and world powers and reimposed sanctions -- something Israel had advocated. The EU was one of the signatories to the deal, and European countries have sought to rescue the deal. Lithuania in turn is seeking to expand defence cooperation, notably in cyber security, and wants Israel to take a tougher stance towards Russia, which the Baltic states see as their greatest security threat. "We need to better understand each other's security challenges because security is indivisible," Deividas Matulionis, an advisor for the Lithuanian prime minister, told AFP. Many Israelis have origins in Lithuania, including Netanyahu's grandmother, who was born in the northern town of Seduva. His grandfather hailed from Kreva in what is now Belarus, according to Lithuanian Jewish community spokeswoman, Monika Antanaityte. Netanyahu will meet with members of the Jewish community in Lithuania and visit a memorial in tribute to Jewish Holocaust victims there. He will also award a Lithuanian family the title of Righteous among the Nations for having saved their Jewish neighbours from the Nazis. 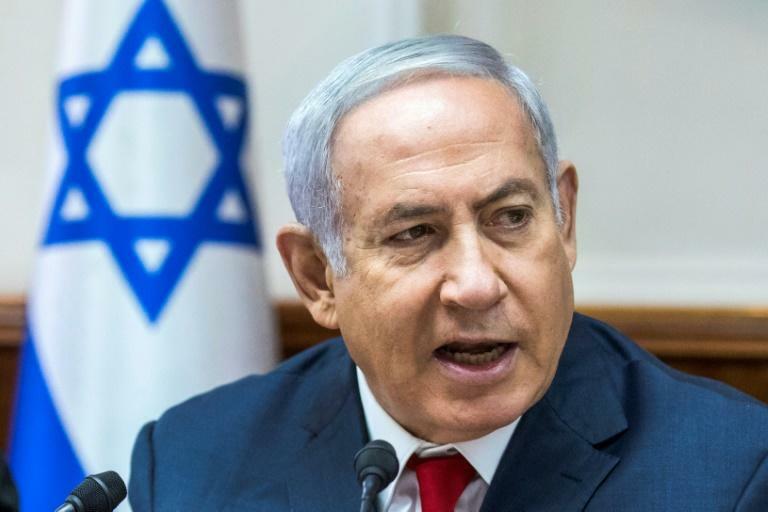 "We are greatly honoured that Netanyahu will pay so much attention to the Lithuanian Jewish community," community leader Faina Kukliansky told AFP. The country's 2.9 million population today includes some 3,000 Jews.